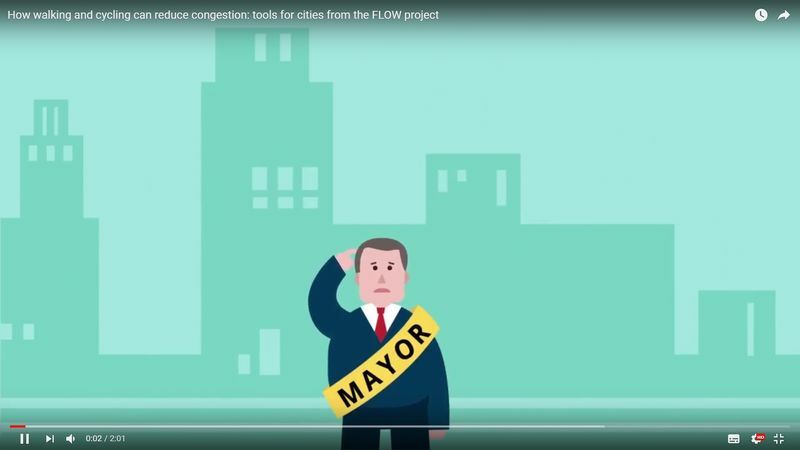 News - How walking and cycling reduce congestion in two minutes: watch the new FLOW video! Safer roads, better public transport, less congestion, cleaner air – can we have it all? Visionary cities invest in cycling and walking today. The video introduces the new tools developed in the project and some results from Dublin and Strasbourg. “The FLOW project teaches how to measure and model all modes of transport, including cycling and walking. The result? More realistic mobility plans and less congestion!”, the Lord Mayor of Dublin Brendan Carr reported. WATCH THE FLOW VIDEO HERE!